There is nothing like walking out to your car on a frigid morning, turning the key and hearing your engine moan and groan and then nothing. You know your battery is OK because you just replaced it a month ago. So what happened? It might be time to take your car to Elkhart Mechanics to have your alternator checked. The alternator is what keeps your battery charged and your electrical system in good working order. Without your alternator you would only get a few good starts out of your battery and then nothing. Your alternator can expensive replacement part but if you get it checked at Elkhart Mechanics you’ll be money ahead and no more sitting in your car staring at the steering wheel on those cold mornings. The alternator is a generator in your car that provides power to the batteries, lights, and other electric parts of the car. The rest of the car runs on direct current, but the alternator is an alternating current generator, hence its name. For a long time, cars had DC generators, but manufacturers later switched to AC generators (alternators) because they last longer and are more efficient. Alternators made in the last few years are temperature compensated; they need less voltage in hot weather than in cold, and they only use as much voltage as they need, depending on the temperature. Sometimes, when there is a problem with your alternator, an “ALT” light will display on your dashboard, but in some cars the light says “GEN” or “BATT” instead of “ALT”. The first sign of an alternator problem is that your headlights are dim. Of course, when the alternator really goes bad, it stops charging the battery, making it impossible to turn the car on, but sometimes you can find signs that your alternator is getting old before it starts to affect your battery. The opposite problem is if your alternator is overcharging, in which case it may go through batteries very quickly. If it is overcharging, you will still need to replace it. 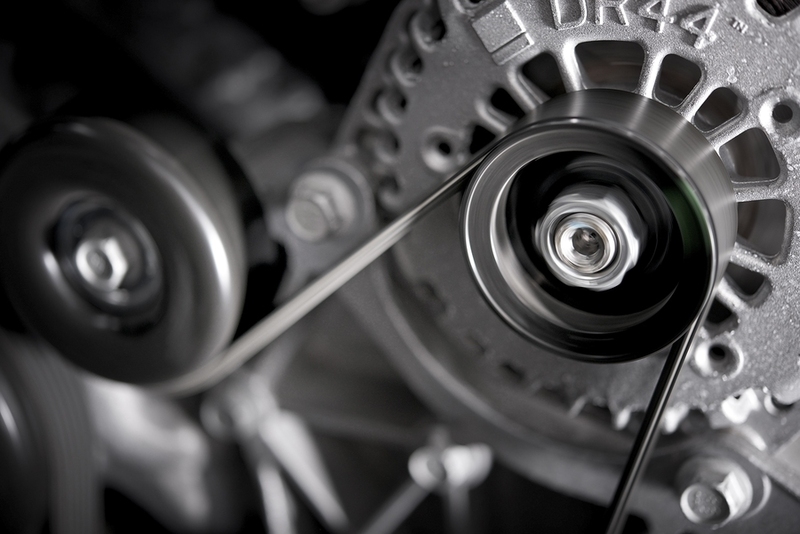 If your alternator is malfunctioning, we will determine whether and how it is possible to repair it or whether you need a completely new alternator. The main parts of an alternator are the brushes, diodes, rotor, slip rings, and voltage regulator. The diodes can include regular diodes and rectifier diodes. Replacing an alternator usually does not take a long time. As always at Elkhart Mechanics, it is up to you what we actually fix and replace. We will look for all possible causes of a problem before we start replacing parts and charging you for them.